Former Orange County Sheriff, Mike Carona, reported to federal prison in Colorado this morning. Carona was convicted of trying to get his former assistant Sheriff, Don Haidl, to lie on the stand to a Federal Grand Jury that was looking in to corruption in his Sheriff's department. 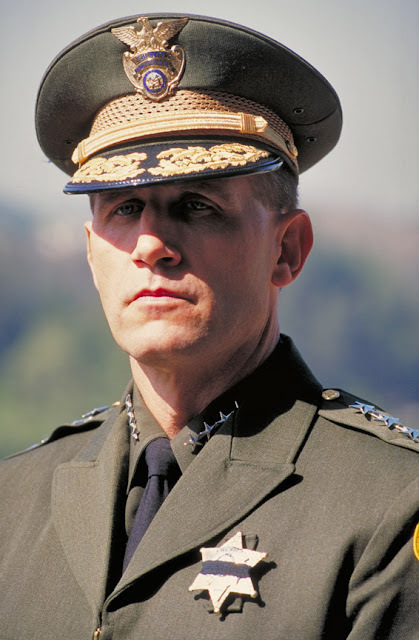 Mike Carona as Sheriff of O.C. in 1999. Carona, once dubbed "America's Sheriff' by the news media, must serve 85 percent of his 66 month sentence.